Tom Gunning developed the influential concept of “the cinema of attractions” and is Betty L. Bergman Distinguished Service Professor in the Departments of Art History, and Cinema and Media Studies, at the University of Chicago. He recently visited the Walker to present the film Coeur Fidele, part of the continuing series, Jean Epstein: The Intelligence Cinema. What first drew you to the work of Jean Epstein? Well, I went to NYU for my graduate degree in Film Studies in the ’70s, and there was a moment there that passed where Epstein was getting a lot of attention. There was this very exciting theater—in fact, it’s still there but in a new location—called Anthology Film Archives. It was dedicated to more avant-garde films, and in my first or second year in graduate school they had a retrospective of Epstein, with films from the Cinémathèque Française. I had already seen all of The Fall of the House of Usher, and I knew that he was interesting… but then, seeing more than a dozen films was very exciting, and I was sold. Did any one film in particular leave an impression on you? Well certainly the one I’ve gone back to most is Les Chutes de Maison Usher (The Fall of the House of Usher). That’s the one that I’m continuously amazed by. Coeur Fidele, also fascinates me, along with his next to last film, La Tempestaire—it’s a sound film. You say in your introduction to Jean Epstein: Critical Essays and New Translations that, despite being written almost a century ago, Epstein’s film theory has the potential to revolutionize current American media studies. In what ways do you think this emerging scholarship on Epstein might have an impact? 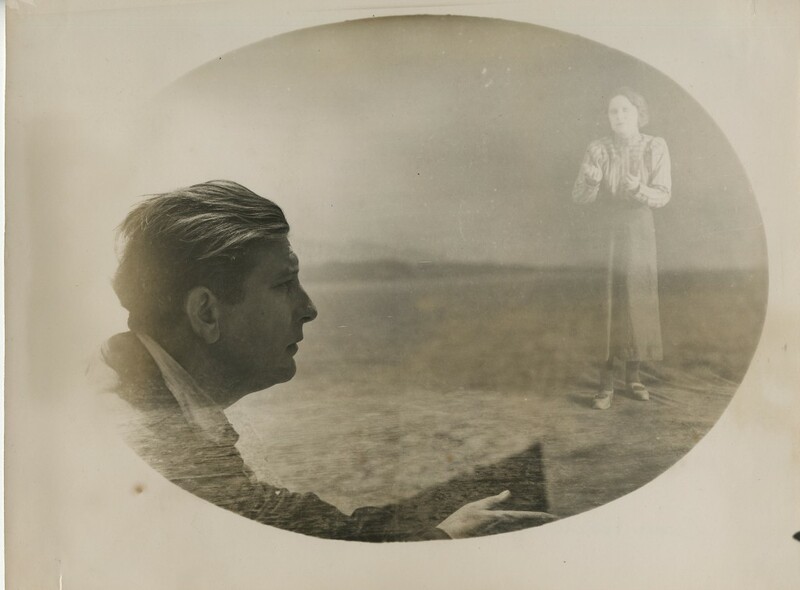 There’s a certain way that when a medium is new—and when Epstein was writing in the 1920s cinema was still very new—that all types of possibilities emerge in an almost utopian kind of way. But as cinema became more mainstream and a greater part of everyday life, it got commercialized and industrialized and so on, and these things in effect get shut down. That isn’t to say that there aren’t many interesting films being made after Epstein, but the idea that this is an experimental genre becomes limited, and more limited to the sort of avant-garde artists that reach very small audiences. I feel that particularly in the contemporary era when so many new media are being brought to the table of everyday life, that many of his ideas about how cinema interacts with the brain are quite relevant to people who are dealing with computers, video imagery, and the recombination. In that way it’s kind of like he had a vision that was very revolutionary but got shut down, and it’s now more relevant than ever. Epstein wrote about Couer Fidele that “the turns of sleight-of-hand of the fête foraine (carousel) have very much unbalanced the way I would wish that the film be understood. If this abstract cinema enchants some, let them buy a kaleidoscope, a toy for a second childhood, in which a very simple device can give a speed of rotation, regular and variable at will. As for me, I believe that the age of the cinema-kaleidoscope has passed.” How would you read the famous carousel scene in this film, given what Epstein says here? Well, the ideas of the kaleidoscope and of motion were particularly important to Epstein, so I think he’s partially being ironic here. He felt like a lot of other film makers and film critics and so on had picked up on these ideas and that they’d become sort of cliché. One of the things about Coeur Fidele is that there’s a narrative that he’s really trying to get at, there’s emotions he’s trying to get at, and there’s dramatic situations. There’s also a kind of tension in Epstein that I think is very productive; the visual stimulus that the cinematograph made possible. It’s really interesting to me that he really wasn’t interested purely in abstraction; he felt in some way that film was about the world and although it had this abstract element, to focus on that alone would be somewhat infantile, just looking at pretty shapes. In the tone there he’s aware of how much he’s already advocated for the cinema as a kaleidoscope or a kind of mobile vision, and that’s the irony. Wasn’t the carousel a common motif in films of this era? Primarily I think the films that have carousels are partly seeing an affinity between it and the cinema. It’s a machine that gives you a sensation, a kind of vertigo, a kind of excitement, and also transforms your type of vision. You get it not only here, in 1923, but also in 1929 in The Man with the Movie Camera, in which Vertov has a long sequence with a carousel. I think it’s usually a positive image, but in the narrative of Coeur Fidele it’s ambivalent. I remember a friend of mine seeing it and saying, “When you’re on a carousel it’s uplifting, and yet here they are looking so depressed.” He’s using it against the grain, but I don’t think he’s using it exactly as a negative image because he’s very excited about the idea of the carnival. At the time one of the main claims about cinema, usually a negative one, was that it was a fairground attraction. In European fairgrounds, and in France in particular, it really took as an attraction because they did not have the nickelodeons that they had in the United States. The first generation that went to the movies probably saw them in fairgrounds. It was an idea with many filmmakers to get away from that, but Epstein I think wanted to keep that energy, and I’ve always felt that is a reflection in the fairground sequence here; there’s an ambivalence in the story but because he thinks it’s vital. It’s the wheel of fortune. Do you see any major difference between Epstein’s melodramas and other films in the genre made by his contemporaries? There are a lot of different things that his contemporaries were doing and most of the group that’s called the French Impressionists, the experimental filmmakers of the 1920s, saw themselves as a kind of mainstream of cinema, and the way that they would articulate that is that the mainstream films were basically filmed theater. Certainly, one of the main genres in the theater was melodrama. But, there’s a 19th century form of melodrama, particularly in France, which is very filled with blood and thunder and sensations. It was very popular and, again, carnivalesque. And part of what Epstein felt was that there was something there to be tapped in to; he felt that the sort of boulevard theater pieces were watered down, and at the same time in melodrama there’s a theme of triumph of virtue over vice and a clear confrontation between villains and heroes. He plays with that them but he totally obscures it so that you can’t read it in that way. I think he returned to this more popular form, but could not restore the simplicity of morality. If we think of the melodrama as the exaggeration of emotion, he was interested in that, even though at points in Coeur Fidele you have these very unemotional moments; you would think you know what they’re feeling and yet they’re not quite expressing it. It’s melodrama askew. What are some traces that Jean Epstein has left on the films of today?